Huge Savings Item! 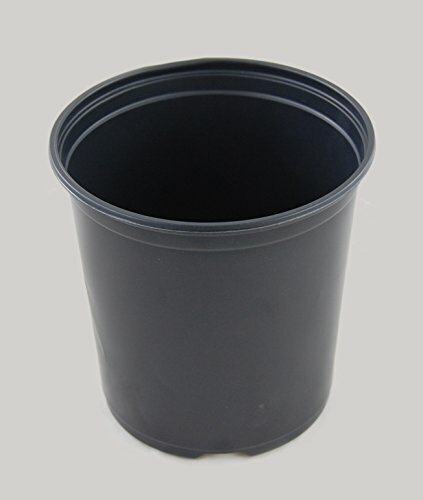 Save 15% on the Black Plastic One Gallon Trade Pots - Holds 0.664 Gallon - 270 Pots per case By Growers Solution by East Jordon at Tulips Orchids. Hurry! Limited time offer. Offer valid only while supplies last. These thermoform Shuttle Pots are designed for quick de-nesting and dispensing. The pots are flexible while maintaining strength and durability. One full case of 270 One gallon Black Shuttle Plant pots. This round 6.30 inch by 6.37 inch deep pot is very durable and can be reused. This trade gallon pot holds 0.664.